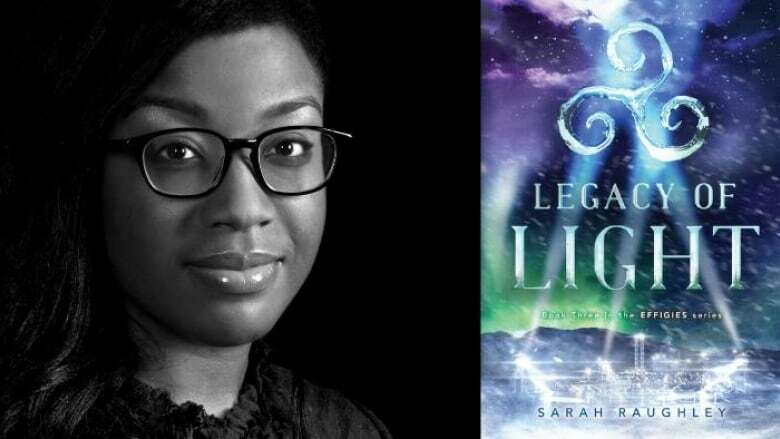 The author of Legacy of Light discusses writing a book series featuring young women heroes. Sarah Raughley is a novelist based in southern Ontario. In Legacy of Light, the third and final instalment of Raughley's YA series, which also includes Fate of Flames and Siege of Shadows, the author drops readers into a world where four young women — known as The Effigies — are imbued with superpowers to protect the world from evil. Raughley tells The Next Chapter the ideas and theme behind the Effigies book series. "My book series features four young women who represent The Effigies: earth, fire, wind, water. They are heroines and superstars. They're given this task to be the world's protectors and, at the same time, they're also young girls who are looked at like celebrities almost like Kylie Jenner. People tear them down, worship them — all of the things that we do to celebrities, especially in a time of social media. They have their own fandoms and have to kind of juggle those two sides of their identity. On one hand they have the fame and another hand they have this immense responsibility to actually save people's lives." "Having the Effigies be women allowed me to explore what it means to be a young woman in a society where there's all these different pressures to be a role model. What does it mean to be a young woman in the public eye? I wanted to explore the idea of female community — what does it mean for women to come together and to support each other? I really wanted to challenge our idea of what being a hero is, especially for women." Sarah Raughley's comments have been edited for length and clarity.